Pope Francis: "Let there be an end to the few profiting from the sufferings of many! No more occupying territories and thus tearing people apart!" Although I 'm Catholic, I'm_fortunate that I know people of many different faiths. These include Protestants of many different denominations (my sister-in-law and niece are Presbyterians), Orthodox Christians, Jehovah's Witnesses, and several Muslims and Jews. I believe that while we should all remain true to the fundamental values of our faiths, that we can not only learn much from people of different faiths, but join them in serving people in need through humanitarian efforts. I occasionally make modest contributions to the Catholic Near East Welfare Association which provides both material and spiritual assistance to people in the region. The long time conflict between Israel and Palestinians is a matter of tremendous difficulty. I realize that the city of Jerusalem has sites which are sacred to Jews, Christians, and Muslims. I can understand that for many people of the Jewish faith that they believe the city should be recognized as their nation's capital. However, ultimately in order to bring (hopefully) lasting peace between Israel and Palestinians, I believe that Israel should be willing to compromise and not insist on Jerusalem as being their nation's_capital. At the same time, I believe that Palestinians must be clear in recognizing the right of Israel to exist, and renounce terrorism. I have long supported the establishment of a Palestinian state. Again, I'm sure that both Israel and the Palestinian people must compromise regarding what occupied territory Israel will cede to create a Palestinian state, while maintaining secure national borders. Finally, I believe that both our government as well as other governments (I would expect major Western nations to be sympathetic) to provide both humanitarian aid to the people of the region (perhaps especially Syria and Iraq) as well as promoting trade between the nations of the West and the Middle East. How much real difference is there between the teachings of the Abrahamic faiths? What occupied territory Israel will cede? All of it. That's why it's called "occupied", all of it and more must be ceded. How can the Palestinian people accept the right of Israel to exist when most of the land of current Israel was never part of the original establishment? Every inch of land taken from Palestinians to establish Israel has to be paid for, or given back. Paid for in full, and at full value, must be the rule. The greatest aid we can provide to any country is to aid it in establishing a democratic government. The Holy Land, the crossroads of the world, the birthplace of the promised saviour, the true religion of his ancestors through the prophets is the most important place on the face of the earth as it is the battle front of the war between good and evil. Christians and Jews can be properly described as people of the book, Muslims cannot. The disturbers of the peace, the makers of war, the initiators of violence and the teachers of hatred are at the core fired up by Islam. They are implacable, their religious teaching urges them to violent jihad of the sword, to kill Jews wherever they find them and in this particular era boast that they will drive all Israel into the sea. Many leaders of the Christian faithful in the Middle East were unashamed to act and teach hatred of the Jews and tolerance of the Muslim during my long lifetime. Peace in the Middle East may never be attained before the second coming of the Lord, in the meantime civil order and public safety must be imposed by armed force - strong police forces and strong military. Any honest article on the topic is morally defective if it omits the numerous times the representatives of Israel have agreed to the cessation of hostilities and redistribution of land only to have their offers flatly refused. Tell the truth, nothing recommends support of the enemies of Israel. I want to see all the able bodied Christian Israelis enlist in the armed forces and support their nation and government against the jihadis in the same way as their Jewish brothers and sisters do. Christianity is NOT a pacifist religion and values the peace of Christ, not the peace that the world gives ... temporary absence of war. The Lord promises refreshment and freedom to all the abused of our world; however he needs us to satisfy his promise. 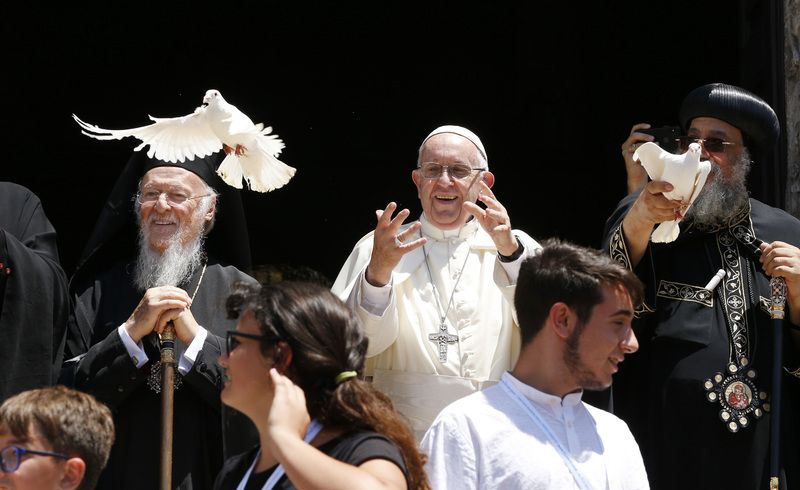 He needs our voice to dissent the treacheries submitted on Full Essay Help account of the quiet, regularly complicit, of such a significant number of," said Pope Francis in his homily at the July 6 Mass for Migrants.